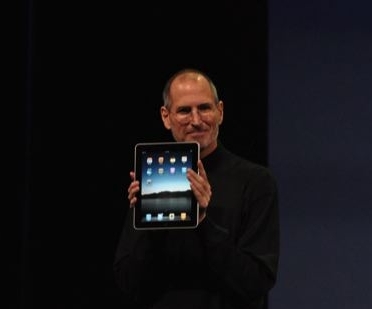 Steve Jobs has just officially announced the iPad, the tablet device which has been leaked recently is now a reality. 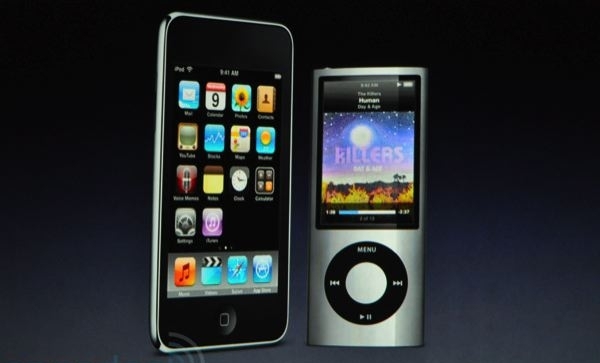 And due to popular rumor it is in appearance an oversized iPhone/iPod Touch. It runs a modified version of the iPhone OS and runs Mobile Safari as shown at the event, but with no Flash. 16, 32 and 64GB models. Pixel Double to run app’s at double size or original. WiFi model shipping in 60 days, worldwide. 3G model shipping in 90 days. Note: British prices have not been released by Apple yet and they are only converted from US Dollars to give people an idea of price. All times are at GMT (London). 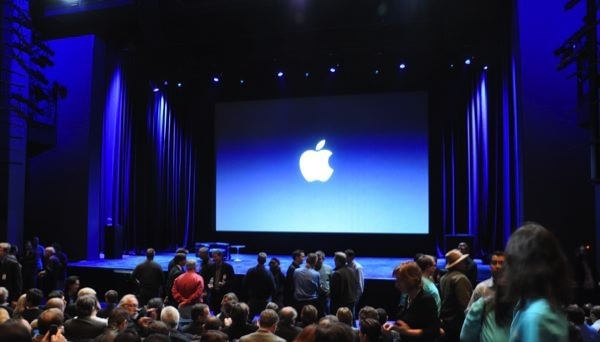 5:48 PM: Everyone is getting seated and the event will start in 12 minutes. 6:00 PM: The lights have gone down. 6:29 PM: Available in 16GB, 32 and 64GB models. 6:29 PM: 802.11n WiFi, Speaker, Microphone, 30-pin connector and 10 hours of battery life, up to a month on standby. Bluetooth 2.1+ EDR. 6:54 PM: Apple eBook reader app called iBook. 6:55 PM: Apple uses the ePub format for the iBook app, which means it’s open. 7:13 PM: It syncs just like the iPhone and comes with 3G. 7:14 PM: $14.99 for 250MB of data or $29.99 for unlimited. Free use of AT&T WiFi Hotspots. No contract. International deals by June. iPad 3G models are unlocked. 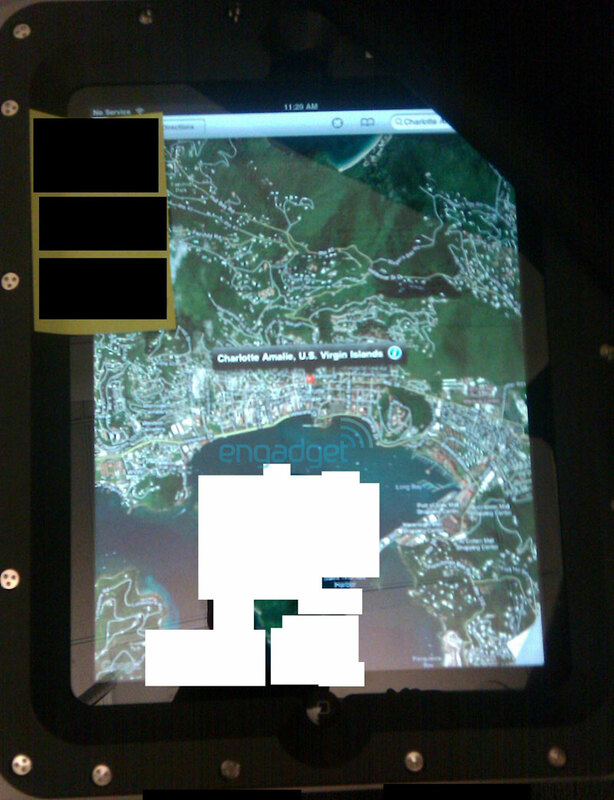 Engadget have received some pictures, which they cannot confirm as being real but they do look real, of the upcoming Apple Tablet. It’s only just over an hour now until the event begins so it won’t be long until we find out. 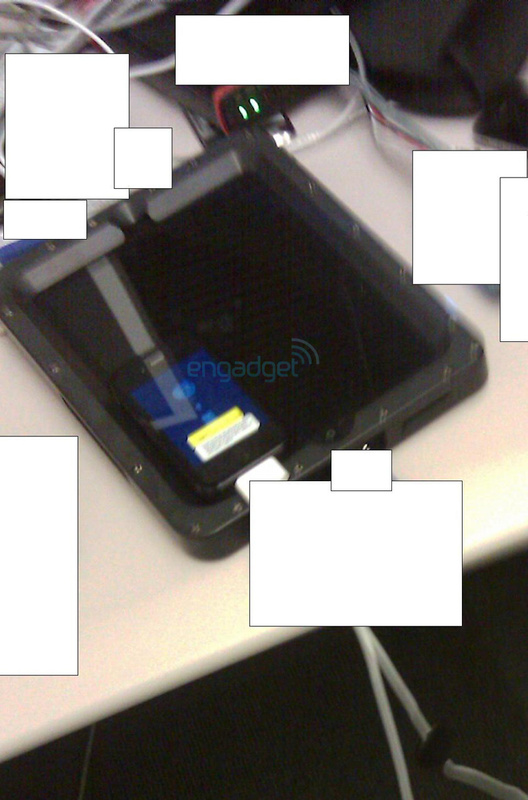 we just got two very interesting images of what certainly looks like a prototype Apple tablet, or what could be the tablet bolted down to a table. It’s big — really big — and it’s running what clearly looks like an iPhone app, although we’ve never seen an iPhone app with that interface or at that resolution before. We also see a WiFi icon and a cell service indicator, although tragically there’s no carrier listed. So the few picture leaked do look a lot like people thought which is a large iPhone but Steve Troughton-Smith had some interesting ideas about the images. So from what we have seen we’re guessing the resolution might be around 640×1024, that the picture shows a non-OLED device, however this doesn’t rule one out. And that Apple are still using Google Maps for the device. 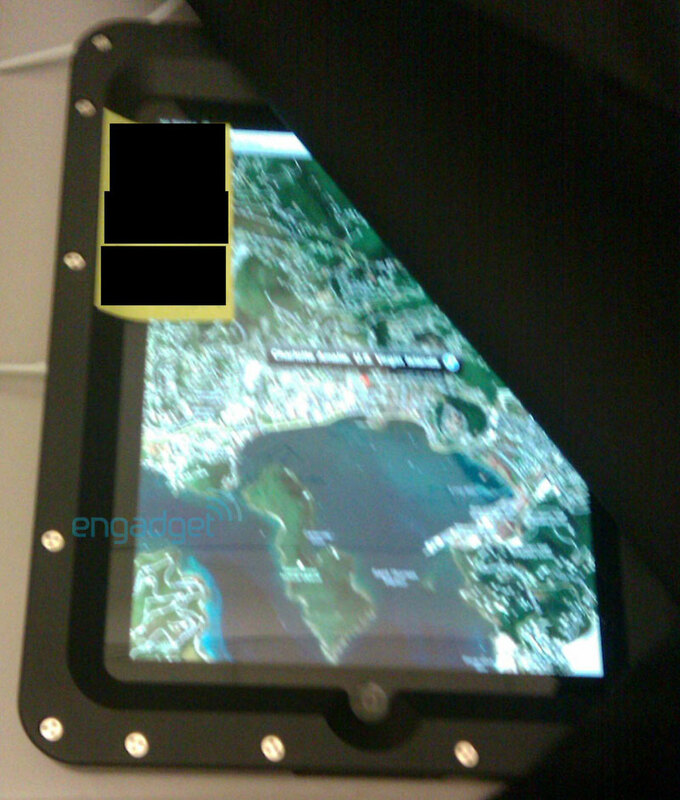 The images show an interesting case around the side, this could be for security or just to disguise the device, as some people over at iPhone Alley spotted a device running a modified version of Mac OS X on a device which was thought to be the new tablet. 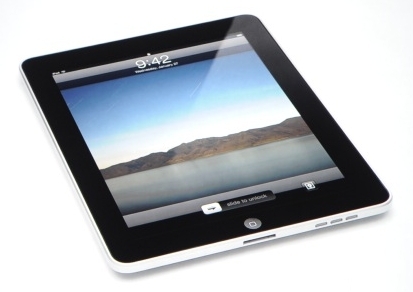 McGraw-Hill’s CEO Terry McGraw Confirms Apple Tablet? 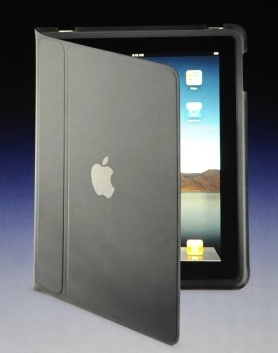 McGraw-Hill’s CEO, Terry McGraw, yesterday confirmed that the Apple tablet would be announced today. In the video he was very excited about working with Apple and spoke of how the announcement would be today and how it’s “based on the iPhone operating system” and that it will be “transferable”, which I’m assuming means everything in iTunes. He also says that they’ve got 95% of their materials up and ready to run as e-books, and it’s not a stretch to think that Apple has made similar deals with other major publishers as well. 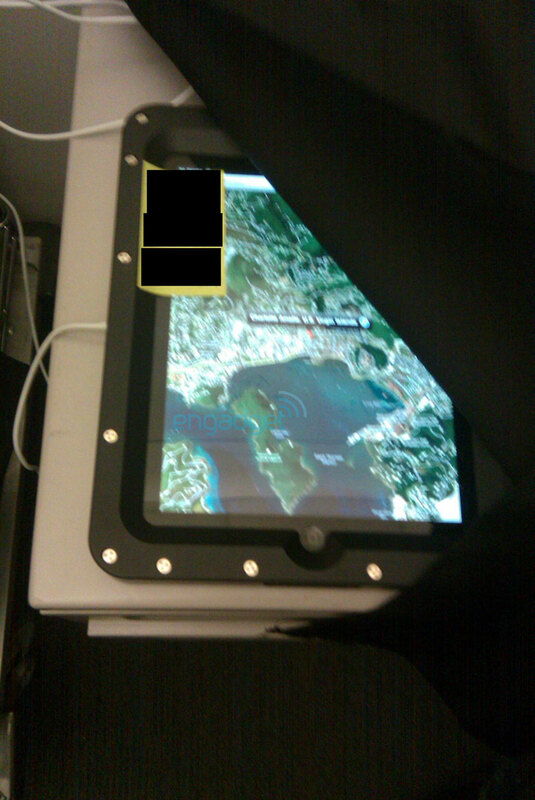 This still isn’t official confirmation of the tablet but it’s pretty obvious now that it’ll be coming. Apple Causing Shortage Of 10″ OLED Screens? Rumour has it that Apple has caused a shortage of OLED screen components, possibly for their upcoming tablet or possibly for the iPhone 4G. “We were told that Apple pre-ordered them all. All 10 inch LCDs, and all 10 inch OLEDs too,” an anonymous designer commented during CES. Another rumor from last year said that the tablet had been delayed because Apple was waiting for OLED components for the device. It seems plausible then that Apple could be behind an OLED shortage, as they can usually control component prices due to the bulk in which they buy. As they have done with flash memory in the past for iPods and iPhone’s. The source also says there is also a shortage of LCD screen components of the same size, hinting that Apple may offer an LCD model alongside the OLED model, maybe as a low end option. Only time will tell but it’s not long now until the event where the tablet it due to be unveiled. 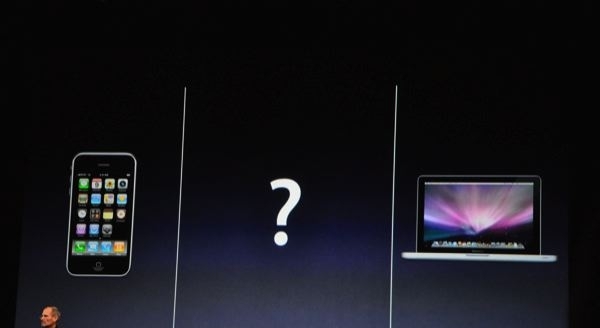 7 inch Apple Tablet is Being Announced in January? 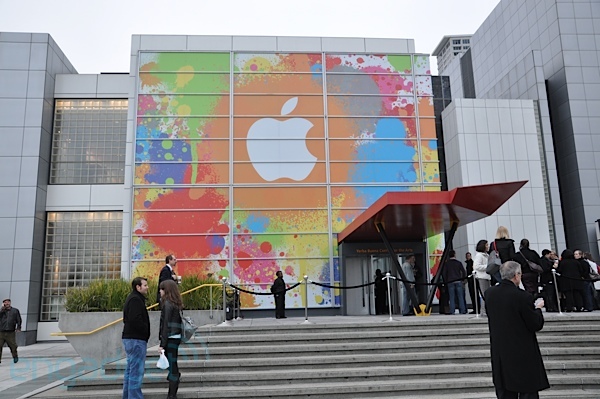 A source has told BGR that they have solid info about Apple’s upcoming tablet. It has been widely reported recently that the size of the tablet is 10 inches but the source, who is very connected, says there is also a 7 inch model. There connection said there is definitely a 7 inch Apple Tablet, that will be announced in January. There might be a 10 inch model too but there source had no information on that. The Financial Times also believes the announcement for the Apple Tablet will come in January. The WSJ points to a March release date. 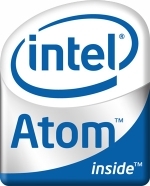 The latest build of Snow Leopard (10.6.2), no longer supports the Intel Atom chip which is widely used in netbooks. In the current developer build of 10.6.2, Apple appears to have changed around a lot of CPU related information. One of the effects of this is Apple killing off Intel’s Atom chip. Among other things, Sleepenabler.KEXT is now ineffective and will need a new version. It is now suggested to run CPUPM with a proper DSDT. Although Apple has long engadged in a hack-and-mouse game with with users who use Mac OS X onto third-party hardware, some people see it as a shot against low-cost netbooks, maybe meaning a low-cost MacBook soon? Others believes its another sign of the Apple Tablet as it’s rumoured to have a price point a lot higher than netbooks and so Apple is trying to get rid of the competition. Stellarola also notes that similar restrictions in Leopard 10.5.9 may disable the Atom, and so advises any pre-Snow Leopard hackintoshed Atom netbooks to stick with 10.5.8.
Who know’s how this will be implemented or how long it will take them to figure away round it. 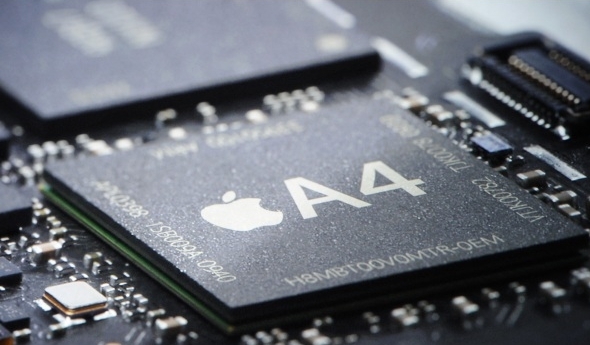 But hopefully this won’t end the use of Mac OS X on third-party hardware.